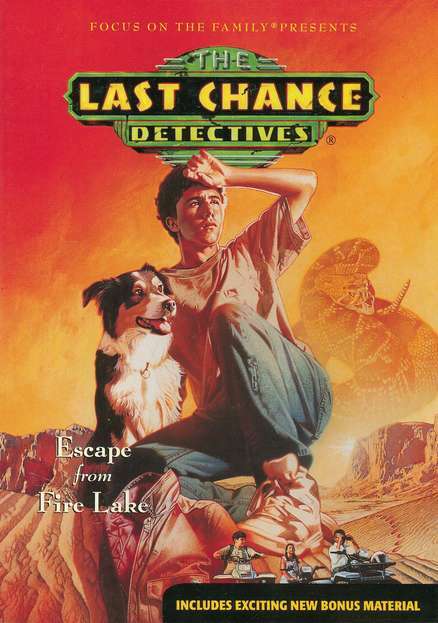 The Last Chance Detectives race against time during a desperate search for their friend in this thrilling story of personal faith in God and the difference it makes in times of crisis. Mike is missing! Winnie, Ben, and Spence have just found Mike's compass in the dirt at an old, abandoned motel in town. But worse, the empty getaway car from yesterday's bank robbery is sitting in the motel's courtyard. The Last Chance Detectives launch a desperate search for one of their own--but it's a race against time, and the odds are against them. 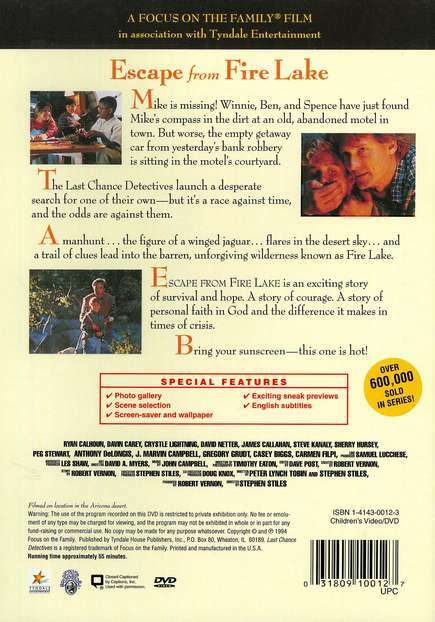 A manhunt, the figure of a winged jaguar, flares in the desert sky, and a trial of clues lead into the barren, unforgiving wilderness known as Fire Lake. Escape from Fire Lake is an exciting story of survival and hope. A story of courage. A story of personal faith in God and the difference it makes in times of crisis.